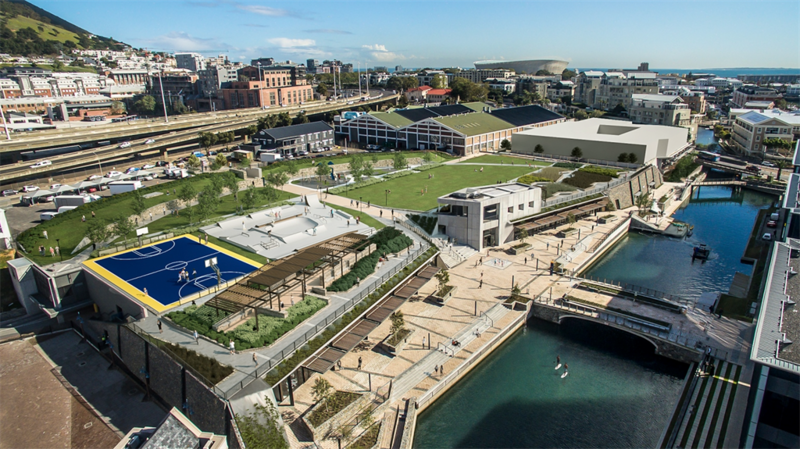 A new urban park with a basketball court and skate park will open in the V&A Waterfront in October. 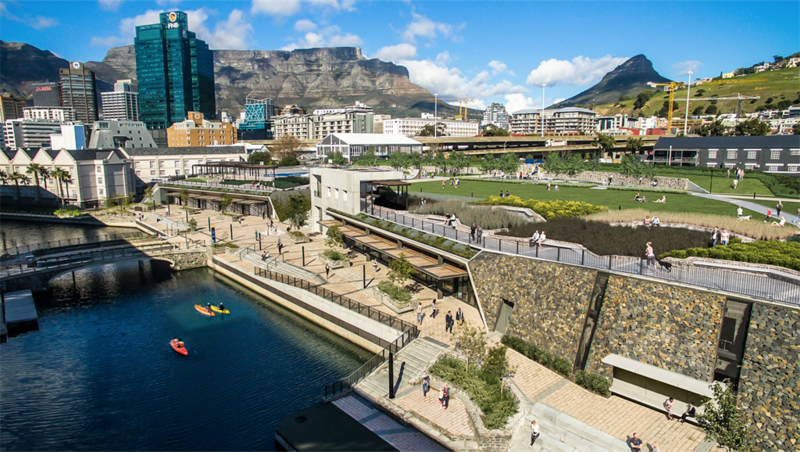 It is part of the Waterfront’s R1.1 billion Canal District development. The new park is named after the Amsterdam battery which was constructed by the Dutch on the site in 1784. 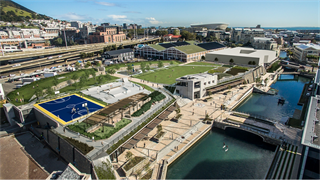 A new urban park, with a basketball court and skate ring, will be opened in the V&A Waterfront’s R1.1 billion Canal district development in October, the Waterfront announced on Wednesday. 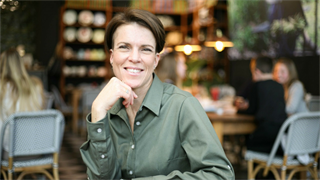 Battery Park cost an estimated R300 million, V&A Waterfront CEO David Green said. The new 12,000 m² park will give the public unrestricted access to the waterway for water sport activities such as standup paddling, kayaking and even swimming. It is constructed on top of a four-storey public parking facility, allowing an elevated view of Cape Town and the Waterfront. The park is named after the Amsterdam battery (a fortified place for heavy guns) which was constructed by the Dutch on the site in 1784. Green said the historic battery’s two circular walls have been retained in the park as a new heritage site. Next to the canal will be a series of “niche companies offering specialist services” and restaurants, Green said. The area will be maintained and patrolled by the V&A Waterfront. Waterwise fynbos and other indigenous plants and trees will be introduced in the park with a combination of rainwater harvesting and greywater used to maintain the plants. Green said that the Canal section was previously used as a car park and occasionally for events after it fell into disuse with the completion of the new harbour. 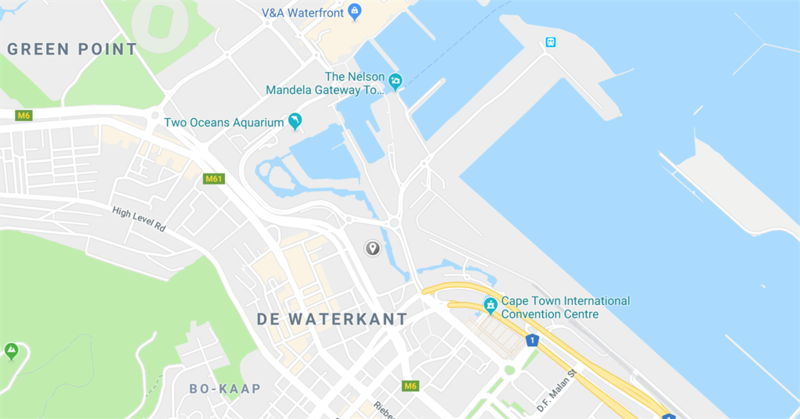 The R700 million Waterway House, housing the headquarters of British American Tobacco, and the nearby Queen’s Hotel, which is being renovated at R70 million, also form part of the precinct. Other pedestrian ways will be upgraded and a residential development is also planned in the area for the near future.